This article is written by Myles Schrag, a freelance writer based in Flagstaff, Arizona, USA. He is working with Ron Davis and Filbert Bayi on their memoirs. Filbert Bayi is probably best known for his 1974 Commonwealth Games 1500m gold medal and world record, where he ran from gun to tape. 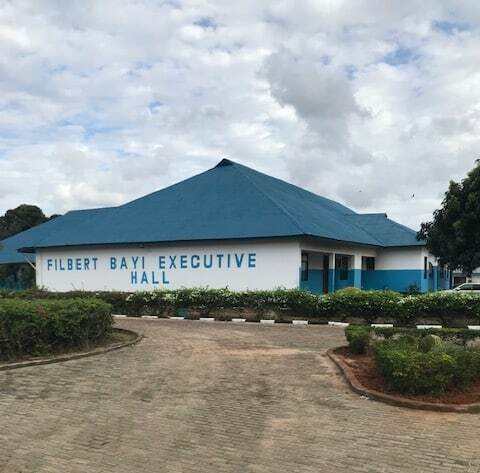 Say this about Filbert Bayi – the former world-record holder knows how to peg someone with a first impression. Bayi first met Ron Davis in May 1979 for tea in Dar es Salaam, Tanzania. Davis arrived in Dar after a successful five years as Nigeria’s national track coach, and was taking the same position for Tanzania. Bayi soon enough realized that Davis’ notion of toughness went against the grain of the dictatorial, high-mileage mindset of coaches at that time. But the assessment fit, as did the notion that Davis was athletic—he was captain of San Jose State’s 1962 NCAA national champion cross country team, and qualified with six others for the second U.S. Olympic Team Trials of 1964 in the 3000m steeplechase. Portending a long and successful career on the continent, Davis was also chosen for an American goodwill track and field tour of Africa that same year. In February, 40 years after their first meeting, Davis gets the opportunity to show that he still very much knows what he is doing. He has been hired to return as national team head coach for a country where he always felt at home. 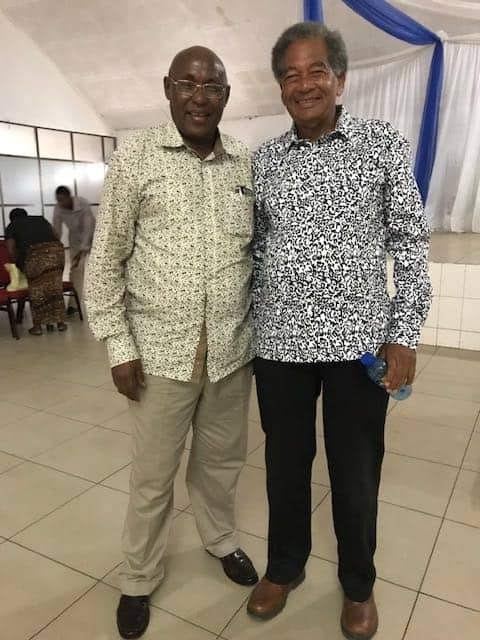 He is there largely because Bayi, now the Secretary-General of the Tanzanian Olympic Committee, advocated on behalf of Davis to Athletics Tanzania. Davis is being asked to reprise his role of placing Tanzanian athletes on the Olympic medal stand, as was the case in Moscow in 1980 when Bayi earned Tanzania’s first-ever Olympic medal, a silver in the steeplechase, and Suleiman Nyambui took silver in the 5000m. Tanzania has not medaled at any Olympic Games since. However successful the 65-year-old Tanzanian and the 77-year-old African-American are toward that goal at Tokyo in 2020 and beyond, they’ve forged a deep bond that has endured over the miles and the years. The two men have been through a lot since they first worked together—Bayi from athlete to ambassador and school founder; Davis around Africa and back to the United States as a coach through celebrated and tumultuous times. But their relationship is stronger than ever as they reunite to try to rekindle the same magic from two generations ago. They were mostly congenial from the outset, but they had typical training disagreements in the year before the Moscow Olympics, Bayi said. Some days when he wanted to rest, the coach pushed the runners; other days when Bayi wanted to hit the gas, Davis held him back. Even if they didn’t always agree, Bayi credits Davis for talking with athletes to see how they were feeling more than other coaches from that era. Davis recalls being immediately impressed with Bayi’s humility … and skill. “I was highly impressed meeting him for the first time,” Davis said recently. “He had the world record at the time in the 1500 meters, yet he was respectful and humble to me. As the Olympics neared, the two collaborated on a critical decision—which event Bayi would run in Moscow. Bayi had run both the 1500m and the steeplechase in his first Olympics, in Munich in 1972. But that was eight years earlier, when he was a teenage phenom. Despite Bayi’s concerns, Davis thought if Bayi could have two months of solid training, then a medal was possible against the presumptive field. 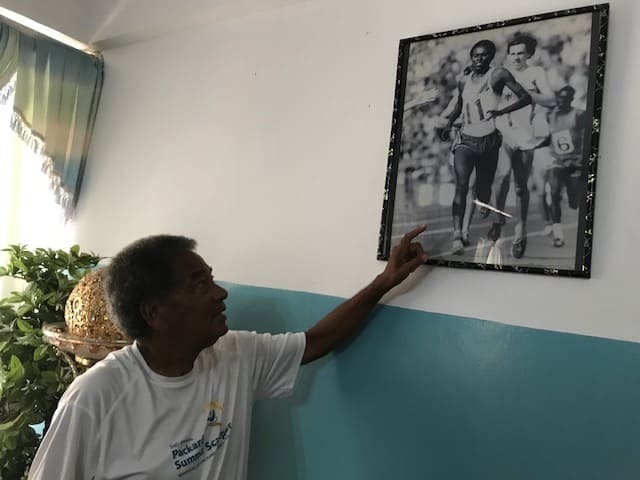 “I promised him if I ran under 8:20 in the steeplechase in any competition in Europe, then I would change my event at the ’80 Olympic Games and compete in the steeplechase,” Bayi said. The event was not run at every meet, but with limited opportunities Bayi ran an 8:17 in Stockholm, Sweden, in June, a month before the Olympics. That preparation led to an 8:12.5 second-place finish for Bayi, who held off Ethiopia’s Eshetu Tura as Bronislaw Malinowski of Poland won in 8:09.7. After those two stops in Nigeria and Tanzania, Davis was gaining a reputation on the continent as a well-read, prepared, and approachable coach. Though he loved Tanzania, Davis left for neighboring Mozambique in 1981, in part because his progressive political views aligned with the scientific socialist country. Davis believed he could contribute to the cause of fighting apartheid through sport in the emerging nation, which had achieved its independence in 1975 over a decade of armed struggle. Even at the time, Davis said he had doubts because Tanzania felt like home to him. He stayed in Mozambique for four years as national team coach before four years in the same role for the island nation of Mauritius. While athletes at those stops were winning medals in the All-Africa Games and other international competitions, and competing in the Olympics, Davis’ biggest contributions were innovative programs that he developed. As a Fulbright lecturer, Davis taught modern coaching techniques and how to develop international programs in the Republic of the Congo. 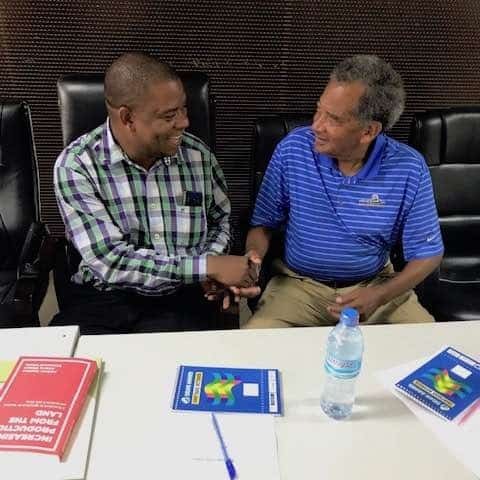 In Mauritius, he reprised a “Run for Fun” program like one he initiated in Tanzania and arranged for Mauritian athletes to get full scholarships to American universities. Davis was coordinator and coach of the African team in the African Unity competitions in which track and field athletes from all over the continent competed against South Africa. The two meets, held in Senegal and South Africa, helped propel South Africa’s re-entry into the Olympic movement at the 1992 Barcelona Games. The events also gave Davis and his athletes the opportunity to meet President Nelson Mandela. In perhaps his signature achievement as an innovator, Davis created the first-ever pre-Olympic training camp in Atlanta for African countries prior to the 1984 Los Angeles Games. This became the prototype for the LaGrange International Training Center that, buoyed by the support of Mayor Andrew Young and Atlanta Olympic Committee board member Bobby Rearden, became part of Atlanta’s successful 1996 Olympic bid. Davis was founder and director of an acclaimed training program that brought more than 500 athletes from 45 countries to train in LaGrange, Georgia, before the Atlanta Games—the largest pre-Olympic training center ever. “Without Ron and his international connections, we could never have pulled this off,” said LaGrange mayor Chris Joseph in a 1995 USA Today cover story reporting on the training center preparations.